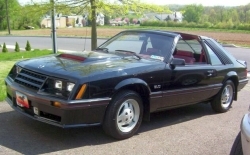 This was the first year of the Fox-platform based Mustang GT. When the '82 models rolled into the showrooms, Ford, the press, and the public summarized the new Mustang in a phrase: "The Boss is back!” Not coincidentally, the HO engine debuted along with the reintroduction of the GT nameplate. Available in 3-door hatchback only, the GT featured the first true "HO" 302 as standard equipment. The major upgrades and design changes which distinguished the new 157 horsepower HO 5.0L engine from its 302 predecessor, and provided 17 additional horsepower were a 2V Motorcraft carb (369 CFM) fed by a dual snorkel, high lid air cleaner, an aluminum intake manifold, a more aggressive camshaft with a double row roller timing chain, larger and deeper nylon valve stem oil seals and 8.4:1 CR sandcast pistons. While it was rumored that the camshaft used in this engine was a marine cam, in reality the marine cam was ultimately rejected for actual production due to low torque numbers. The camshaft actually used was a design used previously in a 351 Windsor two-barrel passenger car V-8 (more specifically the 1973 Torino). Other features of the 5.0L GT included cast iron exhaust manifolds dumping into a single muffler with dual outlet exhaust (“Y” pipe with transverse catalyst), SROD 4-speed overdrive transmission, a 3.08:1 Traction-Lok rear axle (7.5 inches) with factory traction bars and a beefier TRX handling and suspension package. A little known fact is that the '82 GT was also available in the USA (in all states but California) with a 4.2L (non-HO) V8 as optional equipment. An automatic transmission was the only transmission available with this engine. Apparently (based on the data we've seen), very few '82 GT's were produced with the 4.2L/automatic-equipped with most buyers opting for the more powerful 5.0L/4-speed combo. 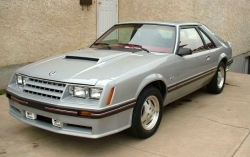 Another interesting and even lesser known fact is that, in Canada, the '82 GT was apparently available with any engine offered in the Mustang line-up (the 4 cylinder 2.3L was standard, with the following engines offered as optional equipment: 2.3L turbo 4 cylinder offered ONLY in Canada in 1982 Mustangs, 3.3L 6 cylinder, 4.2L V8 or 5.0L HO V8). 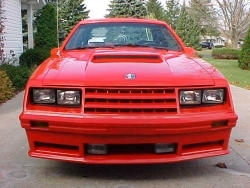 Of course a big part of the new GT’s allure was its specially designed exterior including the following standard features: an integrated front air dam housing twin fog lamps, rear spoiler, cast aluminum wheels, a non-functional hood scoop (reminiscent of the Boss 429), and special blackout trim (including all exterior moldings, trim, door handles, mirrors and antenna). 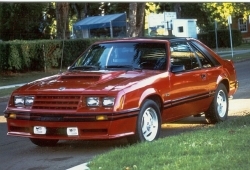 The ‘82 GT’s were only available in the following exterior paint colors: Medium Red, Bright Red (available later in model year 1982), Black and Silver Metallic. The new ‘82 GT’s racy styling carried over to the cockpit which featured a sporty interior also decked out in special blackout trim (including the entire dash and all knobs and controls). 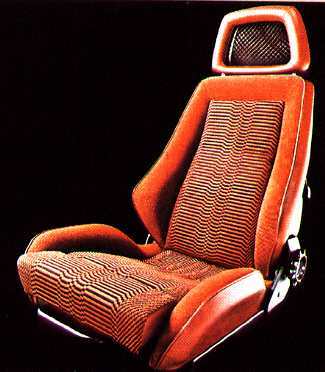 Interior colors were limited to black and medium red and reclining bucket seats were standard with Recaros optional. Standard interior features included full instrumentation (speedometer, odometer, resettable trip odometer, fuel, temperature and alternator gauges, 6,000 RPM tach), 4-spoke steering wheel w/ steering column-mounted controls for turn signals, horn, headlamp dimmer, windshield wipers and washer system, swivel map light, fold-down rear seat and console (electronic digital clock with elapsed time and date, graphic display warning module that indicates low-fuel/low washer fluid level and warns if headlamp low-beam/rear running lamps/brake lamps are out, built-in ashtray, cigarette lighter and map/glove box). Like 1960’s GT’s, there was a wide variety of options available including bigger TRX wheels and tires, sunroof, T-tops, rear window louvers, air conditioner, power windows and locks, rear defrost, interval wipers, light group, tilt wheel, speed control, leather seats, rear window washer / wiper and a whole variety of radios. Sources: Black and white photos - Motor Trend magazine, Sept. 1981. All other photos - Ford Mustang brochures. Note: This price fluctuated during the model year. This area is still under construction. 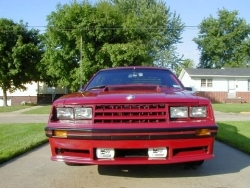 Please stop back in the future for a complete listing of 1982 GT options and prices as well as other data.